Dr. Johnson is the founder of the Smile Foundation he will be leading the 2017 trip. 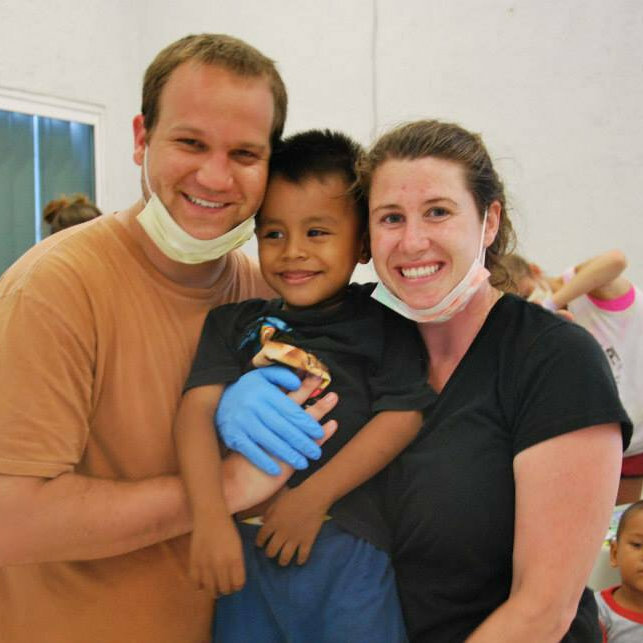 Brandon is in his first year of Pediatric Dental Residency at UAB! This is his 5th trip to Isla with The Smile Foundation. Paige is a dental hygienist at Pediatric and Adolescent Dentistry in Birmingham. This is her 6th trip to Isla Mujeres with the Smile Foundation! Claire is head of marketing at Pediatric and Adolescent Dentistry. She is looking forward to her 7th trip to Isla! Tizzy is a dental hygienist and works with Dr. Lauten Johnson at Pediatric & Adolescent Dentistry in Hoover, AL. This will be Tizzy’s fourth trip to Isla Mujeres. Richard is an RN in Nashville. This will be his fourth year going to Isla with the team! Valerie is a Dental Hygienist at Pediatric and Adolescent Dentistry. SHe is married and has two children and two step-children ages 11-20. This will be her second trip with the Smile Foundation! CInthia is a Dental Hygienist at Pediatric and Adolescent Dentistry. This will be her second trip to Isla Mujeres with the Smile Foundation. Hunter is currently practicing dentistry in Mobile, AL . This is his second trip with The Smile Foundation. Baily is finishing her Freshman year at The University of Alabama. This will be her second trip to Isla with the Smile Foundation! Carolyn is a consultant and photographer in New York City. She is presently co-owner of Worn Creative. This is her fourth year with the team. Perry will be gradution this Spring and plans to attend college in the Fall. This will be his second trip with the team! Dr. Cain is a practicing general dentist in Millbrook, AL. He resides in Montgomery, AL. He loves Mexican food.This is his third trip to Isla with the Smile Foundation. Courtney lives in Dallas, TX where she is the manager at The Impeccable Pig. Courtney is very excited about her first trip with the team! Leslie Johnson is a mother of three and resides in Mobile, AL with her awesome husband, John. This is her first trip with the Smile Foundation. April is a Dental Hygienest at Pediatric and Adolescent Dentistry. This will be her first time traveling to Isla! Jay is an Orthodontist in Huntsville, AL. He is excited about his first time traveling with the team! Cullen is a Teacher in Memphis, TN! Cullen always brings the fun. This will be Cullens 5th trip with the team! “With the help of so many, our trip to Isla Mujeres, Mexico has been one that has provided so many divinely orchestrated "moments" for the people of this town. Making "doing good" fun is not always easy- but with the leadership of people like Dr. Lauten Johnson, people are attracted to our mission and can see why we keep coming back...” Carolyn, 25, Washington D.C.